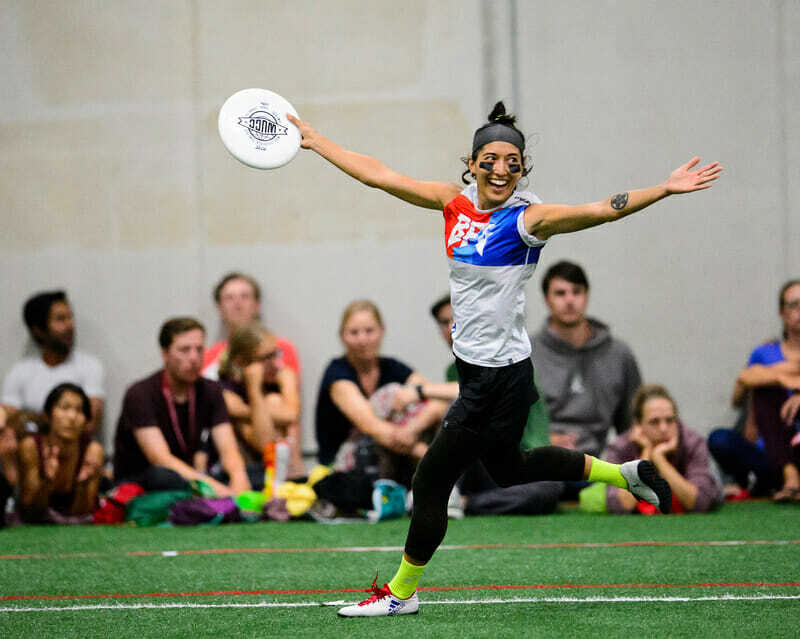 The World Ultimate Club Championship gold medalists, #2 Seattle BFG, are going to try to complete the double peak this season without two of the team’s brightest stars: Kieran Kelly and Rena Kawabata. Both players had asserted themselves as premier offensive weapons in the division this season and were heading into the postseason in the mix for Player of the Year or Offensive Player of the Year nods. Neither will complete the season with the Seattle squad. Kawabata told Ultiworld that Kelly had informed the team that he was not going to finish the season with them shortly after the U.S. Open concluded. Kelly explained to Ultiworld that the team dynamic no longer felt like the right fit for him. He intends to take the rest of this club season off and focus on his job at Facebook. The change left Kawabata, who lives with and is in a romantic relationship with Kelly, in an awkward position. As a first-year player on the team who operated in some of the team’s decision-making roles, according to Kawabata, she was brought in for a series of meetings addressing areas of tension, including Kelly’s departure, between her and the rest of the team’s leadership. In the weeks between the two Triple Crown Tour events, Kawabata continued to have differences of opinion with the team’s leadership. Both parties reached the conclusion early in the week leading up to the Pro Championships that she would also leave the team. A veteran cutter from Canada, Kawabata will join #21 Seattle Underground for the remainder of the season. The team is in the midst of trying to get back to the Club Championships in the women’s division of the competitive Northwest Region. Her experience and athleticism will be greatly appreciated. BFG competed at this past weekend’s Pro Championships without the pair, to disappointing results. After going 2-2 in pool play, including losses to Minneapolis Drag’N Thrust and No Touching!, BFG was eliminated by their neighbors, Seattle Mixtape, in the semifinal play-in round. After winning a world championship and finishing second at the U.S. Open, BFG was positioned as a potential title favorite. A 3-3 weekend at this point in the season may throw that status into doubt. Without the pair of explosive cutters, BFG may have to retool their offense a bit. Kawabata led the team’s women in points1 at WUCC 2018, second on the team only to Kelly, who also led the team in assists and was second in goals at Club Worlds. They were the offense’s primary initiating cutters. In their stead, reliable cutters Lindsay Simon Fox and Leah Bar-On Simmons, as well young deep threat Aldous Root, may initiate the offense more frequently for the 2017 National semifinalists. It’s also possible they’ll turn to some of their D-Line stalwarts, like Alissa or Linnea Soo, to help add some offensive firepower. With things as close as ever at the top of the mixed division, staying near the top of the heap is going to be a considerable task for BFG. Comments on "Seattle BFG Loses Two Stars in Midseason Shakeup"